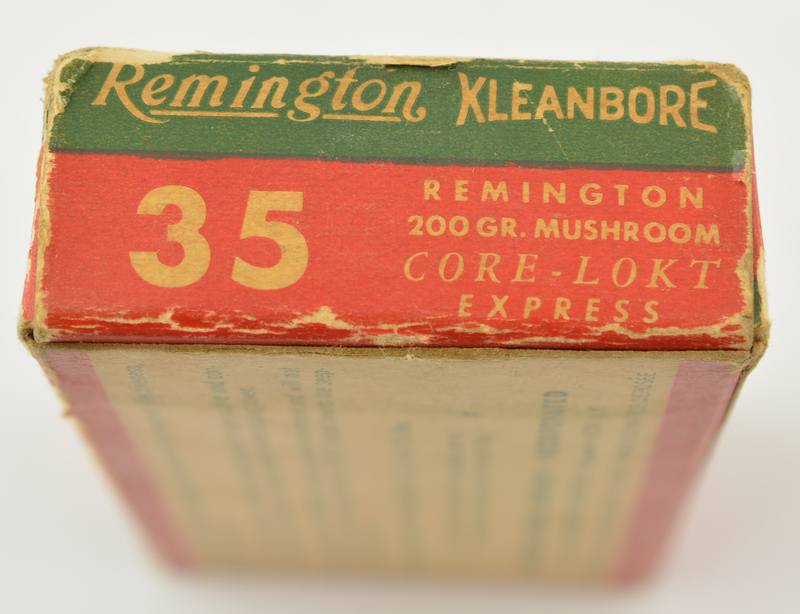 Description: One full 20 round box of Remington 35 Rem express loaded with 200 grain mushroom core-lokt bullets. Box shows light soiling and shelf wear with writing and label pulls. 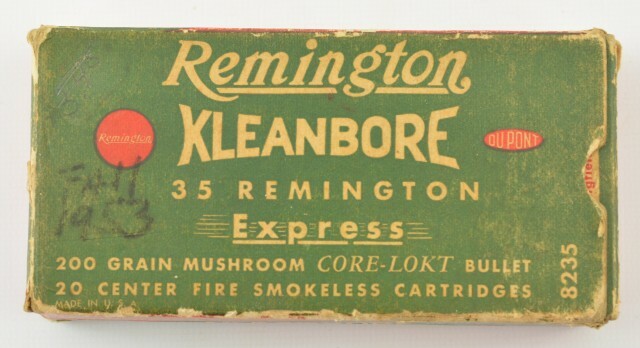 Ammo remains bright and clean.